During their presentation at E3 this week, EA announced that The Sims 4's official release date (for PC, in North America) is September 2. In addition to announcing this highly anticipated piece of news, there was also a game play presentation, which EA has been kind enough to put online for our viewing pleasure. Check it out below. So what did we learn from the above video, beyond the tease of a deeper, richer, weirder Sims experience? It looks like personality will be playing a bigger role than ever in how our Sims behave in this latest installment of the game. 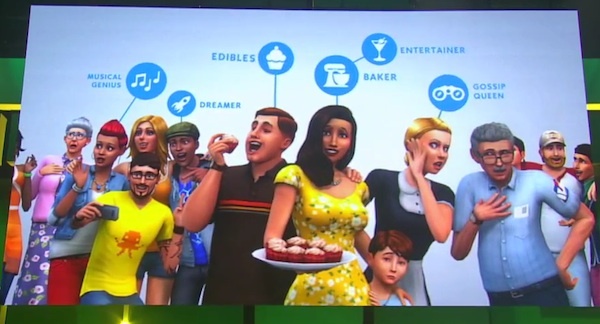 Sims have personality traits in The Sims 3, which affect their behavior, but it seems like there will be even more emphasis on personality and emotions this time around, which will impact a Sims mood and reactions. That should make for some interesting drama. Sims make really funny faces when they're working out. We could lose a fair amount of time just staring at our Sims funny facial expressions while they work out. And they'll still be stumbling on the treadmill, it seems. A new way to die! At least one anyway. 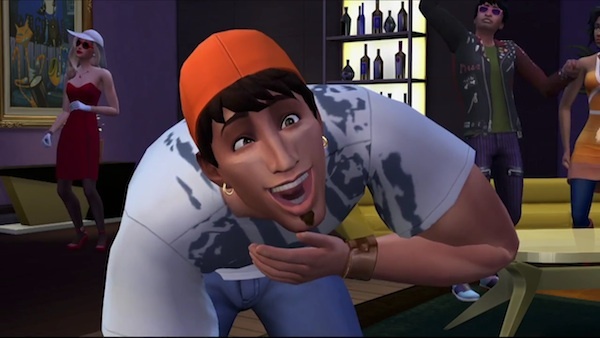 The thought of a Sim dying while laughing automatically makes me wonder what their ghost would look like. In The Sims 3, ghosts' color and appearance varied based on how they died. If that's the case in The Sims 4, what does a laughing ghost look like? And what's on their tombstone? 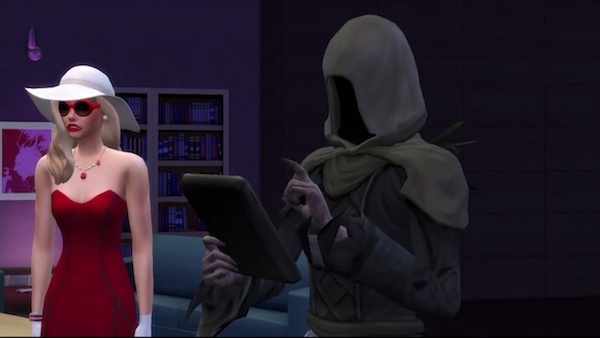 The Grim Reaper uses an iPad. Speaking of death, check out the Grim Reaper's gadgetry. Seems like an efficient way to keep things organized. Does that iPad have any other function? Can he be challenged to a game of online chess or something with it? This doesn't come from the video so much as it does EA's release, which specifies that The Sims 4 is arriving on PC starting September 2 in North America. The release makes no mention of Mac compatibility, which seems like further confirmation that we may have to wait at least a little while for a Mac compatible version of this game. We actually followed up on this situation earlier this month, at which time an EA rep told us that they're focused on the PC version of the game at this time and "we have nothing to say regarding other platforms." So Mac users remain in the dark as to when we'll see our version of the game. 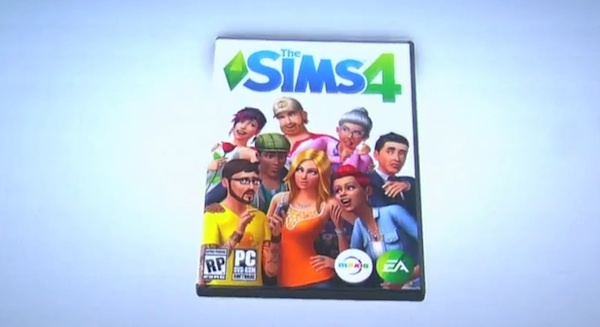 For those who are now counting down the days until The Sims 4 arrives, EA has the game available for pre-order. Check out the video that shows off some of the build-mode features here. And get another look at gameplay here.